Liz Birt – One of the best parts about this one is that it has retained the taste and color of its Brandywine and Cherokee Purple parents. 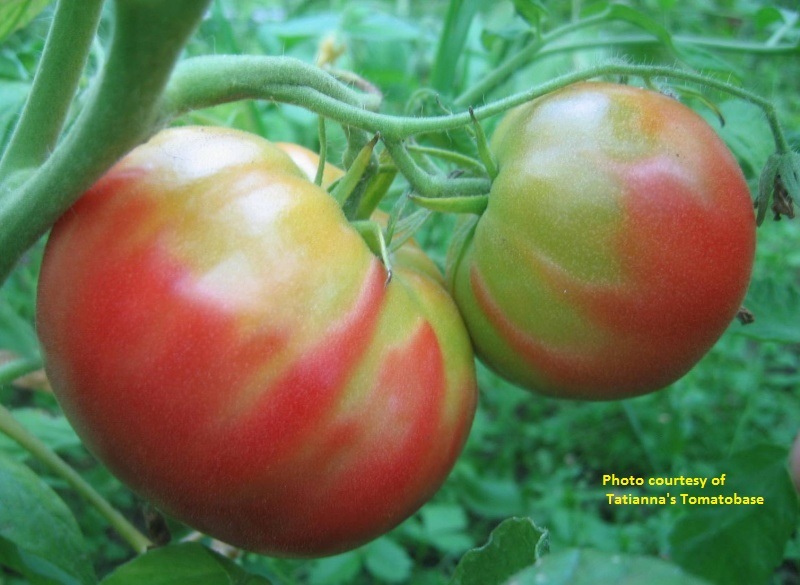 The purplish color to skin and flesh along with a great complex flavor make it a must for your collection of varieties. 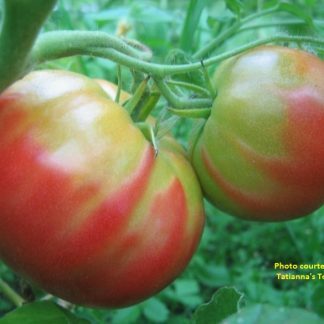 Indeterminate, potato leaf foliage on a medium plant produces lots of oblate 8-12 oz round, slightly oblate beefsteak fruit. 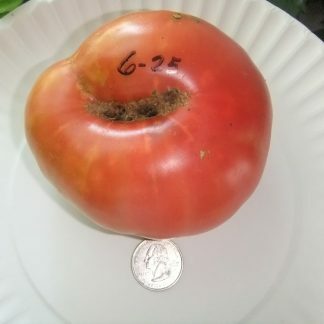 Mid-season here in zone 6a, When you taste it, you get a real treat in the finish which I think is a unique flavor among all tomatoes. 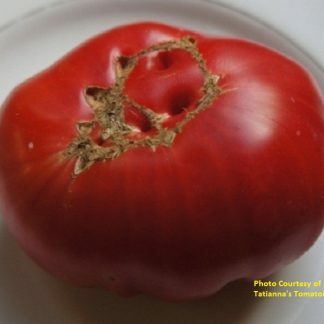 Photo Courtesy of Tatianna’s Tomatobase.